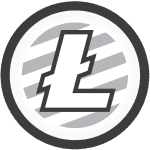 Litecoin (LTC) is a decentralised online payment system created to address some of the issues associated with Bitcoin, such as transaction confirmation speed, scalability, mining process and transaction fees. Initially, Litecoin was a copy of the Bitcoin open source software; however, creator Charlie Lee, a former Google employee, made many changes to the code to address the issues stated above. Litecoin was released in October 2011, and by late 2013 had a market capitalisation of $1 billion. Upon creation, the primary focus of Litecoin was to increase transaction times comparative to Bitcoin, which often took over 10 minutes for one confirmation. Litecoin uses the Proof of Work (PoW) mining system, similar to Bitcoin. However, there are some crucial differences between the two. While Bitcoin uses the SHA-256 hashing algorithm, Litecoin uses Scrypt, which is a memory intensive algorithm that ultimately makes the mining process more decentralised. Miners don't necessarily need computational power to mine; instead, anyone with access to memory in the form of a memory card can mine Litecoin, making the entire process more decentralised. Because mining Litecoin is more decentralised compared to Bitcoin, more miners can mine blocks and receive rewards, which leads to a better distribution of rewards. Moreover, Litecoin has faster process times at 2.5 minutes compared to Bitcoins 10 minutes, it is also capped at 84 million units compared to Bitcoins 21 million units. Litecoin's goal is to become the primary decentralised online payment system. The main priority then is to ensure continued adoption by the masses. Litecoin focusses heavily on developing relationships with organisations globally to increase the number of merchants that accept LTC as a form of payment. Litecoin already has a large number of merchants that accept Litecoin. For a full list click here. For more information regarding Litecoin visit the official webpage.